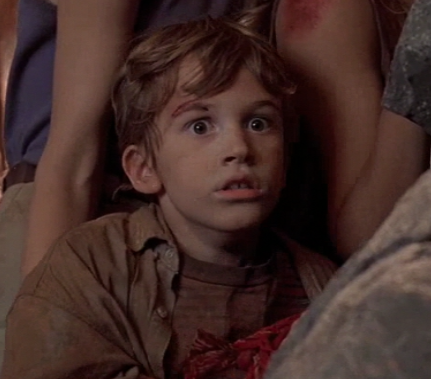 The nine-year-old grandson of John Hammond. 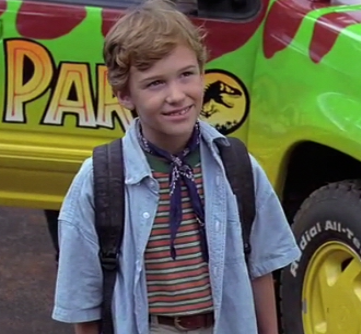 Hammond had his grandchildren come to the island to visit Jurassic Park before it opened to the public. Tim had an incredible knowledge of dinosaurs from reading books by doctored vertebrate paleontologists Robert Bakker and Alan Grant. Tim liked to taunt his older sister, Lex Murphy, and he talked so much about dinosaurs that Dr. Grant got annoyed with him. However, Tim and Dr. Grant soon came to an understanding when they had to fight for their survival. 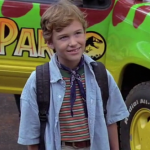 After surviving an encounter with the Tyrannosaurus, Tim followed Dr. Grant and Lex through Jurassic Park in an effort to return to the Visitor’s Center. He also survived an electrocution when the power was restored to the fences while trying to climb onto the inhabited side of the Perimeter Fence. Once returned to the Visitor’s Center, both Tim and Lex were left alone so Dr. Grant could find the other survivors. Their peace was short-lived, as it was discovered that the Velociraptors had escaped. Tim outsmarted one of the carnivores and trapped her in the freezer and escaped with his sister as Dr. Grant and Dr. Ellie Sattler returned. The entire group was saved, incidentally, by the Tyrannosaurus as it attacked and killed the two remaining Velociraptors. Four years later, Tim was seen once again in the mansion of John Hammond as Dr. Ian Malcolm was summoned to a meeting with Hammond. Tim Murphy was played by Joseph Mazzello.